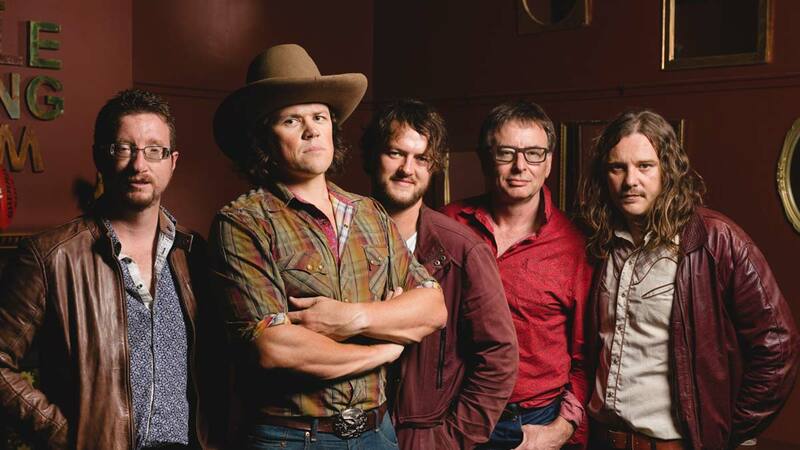 Alt Country five-piece Ralway Bell are earning a solid reputation in the Wild West as a favourite of the genre, with both city and country music folks. As recent winners of the 2017 WAM Song of the Year (Country) and 2016 Country Group of the Year (WA Country Music Awards), along with nominations for Best Country Group in 2015 & 2016 in the WAMi Awards, Ralway Bell are about embark on their first national tour (September/October 2017) to support the release of their debut album ‘Dear Friends’. This Alt Country outfit channel Indi and Blues Rock influences through their whisky soaked tales of love and despair. Rich guitar tones and sweet pedal steel licks colour their sturdy denim rhythms – which have graced the stages of bars and festivals in rural and metro WA. The band have acquired a few great festival appearances too, including Nannup Music Festival, Boyup Brook Country Music Festival, RTR FM’s Winter Music Festival and played support for Kasey Chambers at WA’s famed Quindanning Inne. The first single ‘Caught in the Crossfire’, 2017’s WAM Song of the Year (Country) will be released at Rodney’s Bait & Tackle in Mosman Park on July 29 with an accompanying clip directed by James Bogle (Whiteley), and shot by Michael McDermott (Hounds of Love). ‘Dear Friends’ was recorded by analogue faithful producer Dan Carroll at RADA Studios in Perth, during December 2016. The debut album follows the 2014 EP release ‘I am a Superhero’ which secured the band a ‘Wheatbelt region’ headline tour, hosted by the good people at West Australian Music in 2015.